← Superhero Wine ~ Here to Save the Day! January is usually not the time for a rosé…in fact, it’s not something I reach for on even the warmest of summer days, but I had an opportunity to try the Bender Rosé from the Enotri Wines portfolio, courtesy of owner and friend Eberhard. Andreas Bender is a thirty-something winemaker from Germany, who’s been making wine since he was 15 years old. The man knows a thing or two about wine! His Rieslings, made with grapes from both the Mosel and the Pfalz, are receiving some great accolades. So, in keeping with trying his wines, why not the rosé? This way, when he comes to town next month, I can let him know exactly what I think about it! Haha! 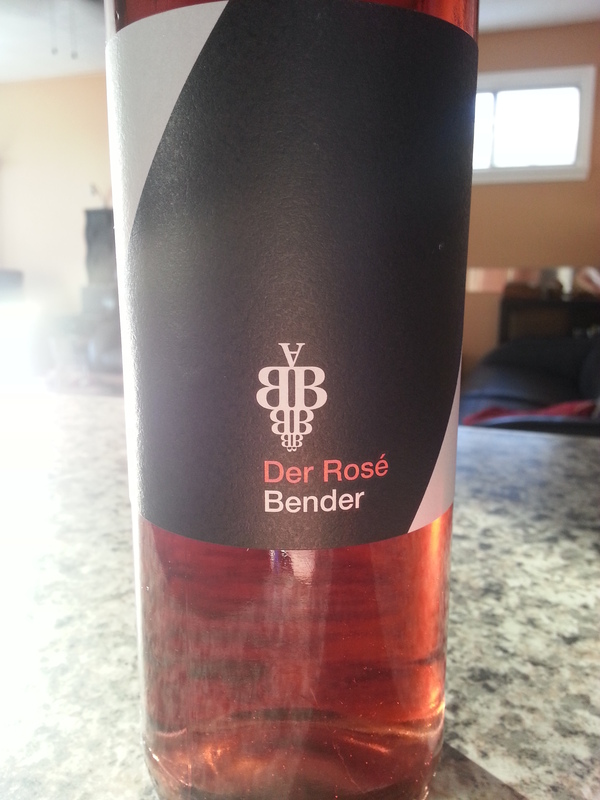 Bender Rosé is dark pink with hints of orange; the colour itself is enough to make me want to try it! Made with Pinot Noir, Merlot and Cabernet Sauvignon, it has lovely sweet aromas of strawberries and raspberries, it’s dry and refreshing on the palate with TONS of strawberries, a raspberry drop candy(remember the ones your grandmother used to have in the tins with the powdered sugar on them? Yes, those!) and even hints of mushrooms! Fabulous acid structure on this wine, very well-balanced, and a surprisingly long finish! An easy-drinking wine enjoyed on it’s own or with a fresh chicken salad! Yum! Really loved this wine and it totally makes me re-think rosés….don’t judge a book by its cover right? Cheers! This entry was posted in Tasting, Varietals, wine and tagged Bender, Cabernet Sauvignon, Enotri, Germany, Merlot, Mosel, Pfalz, Pinot Noir, Riesling, Rose. Bookmark the permalink. There are so many great rosés out there–glad you are re-thinking them!